This weekend is our much anticipated Flying Pirate Weekend!! 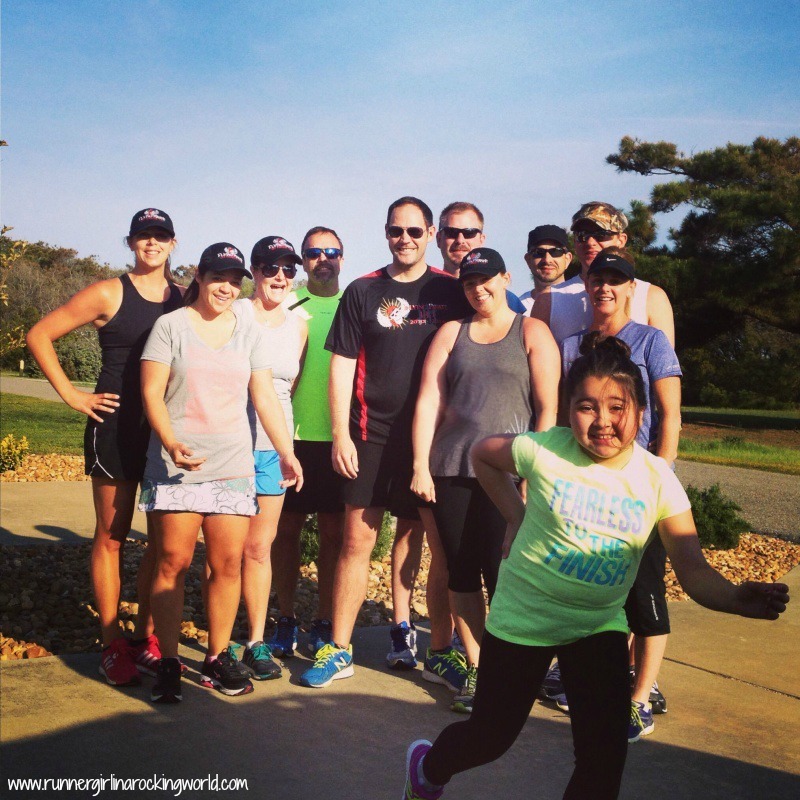 It’s our yearly trek to the Outer Banks with our friends and family to run the Flying Pirate half marathon and enjoy the sights, sounds, food and fun of OBX. Our kiddos have come to look forward to this race as much as the adults. It’s one of my favorite weekends! We’ve perfected our weekend plans and enjoy lunch at some of our favorite restaurants, as well as cooking a huge pre-race meal. Our post race Monday includes a Bloody Mary breakfast. The weekend has become much more than the actual races, but more about just being together. It’s one of those weekends that just leaves you smiling! My student teacher has just a few days left with us. It’s been a learning experience for us both. I am pretty excited to finally have my kiddos back and to start teaching again. It’s funny when she first started taking my classes, it felt like a vacation. But now, after weeks of not teaching and just observing, I’m ready to get back to it. I’m missing it. 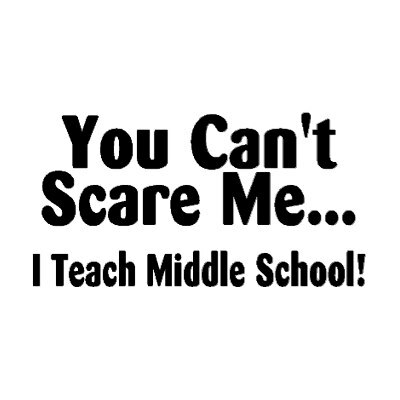 I’m ready to start planning lessons again, working with my kiddos and finishing out the year on a high note. So yesterday, I read this post by Jessica from the Fit Switch and it really hit home for me. Firstly, I appreciate her being so honest and truthful in her post and unapologetically herself. Secondly, she shared information about her recent struggle with sticking to a food plan and that she had some bumps in the road as the weekend neared. She wrote how she’s killing her workouts but when it comes to food and eating, that she’s just not at the same level and that she’s recommitting to giving her best to her food and diet now too! She also points out that we do struggle and that we do “fall off the wagon” but that women need to talk about food and dieting without judgment. We all struggle with food in different ways. It’s called life and living. Thank you for sharing! Every day is a new start and who cares if we have to start over every day?! One day, we won’t have to start over and we will have figured out what works and stick with it. Any movement forward is progress. May not feel like it, but it is! We have to be kind to ourselves too and realize that we are going to mess up, we are going to stumble, but that we can stand back up and keep pushing forward. Maybe the phrase I use for tough races can also apply to food and getting control…relentless forward progress. I am in the same boat and find myself getting frustrated about the exact same thing. I am a force to be reckoned with when it comes to my daily workouts but the minute someone suggests eating out, grabbing a beer, I fall right in and forget making good choices. Food for me is so social. It’s about hanging out with friends, talking around the table, etc and I just can’t find a way to be reasonable with my food and still be social. I feel like it has to be one or the other. I’m learning. I’ll get there one day. But I will not beat myself up about it when I slip up. Start again! 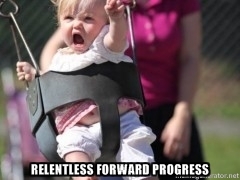 Relentless forward progress! And after writing that, I had my own “lightning bolt moment”. I have work to do too when it comes to my diet. I have to start putting in as much effort with my own diet as I do my workouts and running. They aren’t separate things, but a partnership. I have to attack my food plan and meals like I do a workout and listen to my body for cues on being full, one of anything is enough and making good choices. I got this! I am recommitting to my diet. I’m going to make a plan and with our Hello Fresh box coming next week, it’s a perfect time to start. I’m on it! I’m going back to including meal planning each week. I felt more accountable when I had a plan and I stuck to cooking more when I did it. I’ll start on Wednesday next week, with Flying Pirate this week through Monday and Tuesday, I’ll do my best to make good choices, but honestly, I’d be setting myself up for failure. Come Wednesday, it’s on! Relentless Forward Progress! We go back every year for Flying Pirate. We just love it! I’m definitely on the struggle bus right now with my food. Just hate it but I can’t stop it either. Still will try. Next week, Wednesday! It is on! I cannot wait to hear your recap. Enjoy OBX! And nothing is better for the soul than good friends, good food and a good run! Yes, yes, yes!! It’s supposed to rain most of the tome while we are there but I can care less. A rainy day at the beach is better than a rainy day at home. That sounds like so much fun! I hope you have an awesome weekend 😀 And sticking to a meal plan is something I really struggle with as well, but you’re right — it’s always so much easier to stick to your goals when you have a rough plan to go by! Ours has become about convenience. If we don’t have a dinner plan, then we get take out. If we don’t feel like cooking, we get take out. When I’m home for summers, we eat at home almost nightly and cook great healthy food. I’m hoping this Hello Fresh box helps with planning. The Outer Banks has always been a favorite vacation spot for my family! I love it there! I’m learning not to regret it and just to let it live in that moment. I’m just having a hard time getting back on the horse sometimes. It’s all good though! I love OBX. There is just something so wonderful and different than other beach towns. I’m so horrible at food! I’ve blamed it on everything- being tired, too much work, not liking cooking…right now it’s really hard to find time because at least 3 nights a week I’m at my second job so I don’t cook those nights. But it’s really all just excuses I keep telling myself because I know there are ways around it! I’m going to try the Hello Fresh thing and I’m going to try and keep myself more accountable too. We are so alike!! I say and do the same thing. We’re on it!! We got this!